Stunning .925 Sterling Silver candlestick set. An all-time best selling design, favored by customers for an impressive and charachter-rich style. The long white burning Shabbat candles will add the final beauty to this Judaic heirloom. 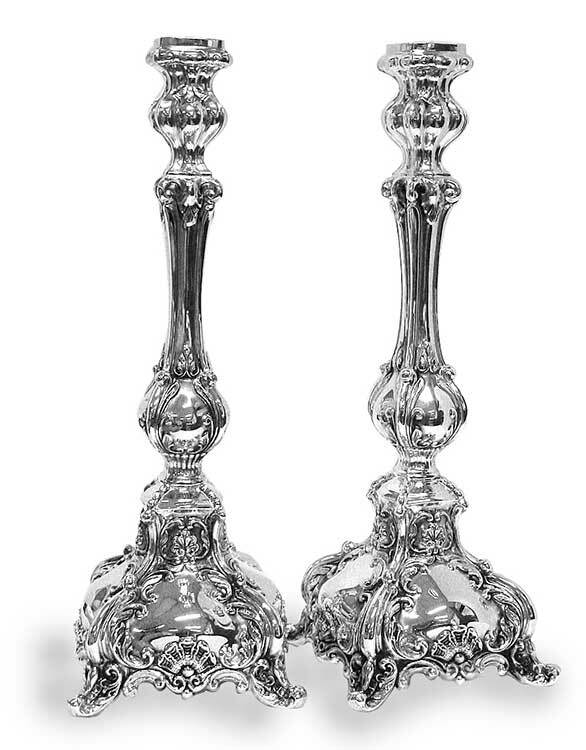 Sterling silver artifacts, and especially candlesticks (Leichter in Yiddish) have been preserved and cherished in Jewish life for a very long time, so if you wish to give or own an estate that will be passed down from ""Dor to Dor"" (generation to generation) become an owner to one of our outstanding pieces that will make an everlasting impression. If you wish to order only 1 single candle stick please contact us.